” Adopting Rescue Pets Adverts contribute towards site running costs, but currently may not fit with the site ethos. We will continue to work on a solution. Which Breeds Are Hardest To Re-home? How Are Abandoned Pets Euthanised? Think You May Like To Adopt Sponsor Or Foster An Animal? By adopting rescue pets, you save the lives of innocent animals. You also do this when animal sponsoring and fostering. 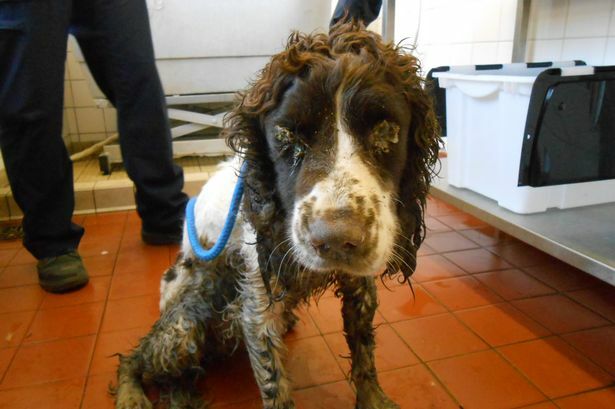 On this page you can learn of the issues facing abandoned pets, and how you can help. The huge problem of pet abandonment due in the most part to owners not taking their commitment seriously. There not being enough places at rescues that do not kill the animals (‘No Kill’ rescues). Not enough people animal fostering and sponsoring or adopting. Pets are constantly being bred by people attempting to make money, taking potential homes from abandoned Pets needing adopted, and causing them to be put to death in their millions every year. Despite the millions of innocent dogs and cats being destroyed through no fault of their own, people continue to buy newly bred pets, encouraging breeding (and inadvertently more innocent deaths) instead of saving these innocent shelter pets from death. Many people buy puppies from pet shops, not realising they are supplied by incredibly cruel puppy farms or bad breeders. These pets desperately long for someone to love, but sadly are too often killed in horrifically cruel ways. See cruel animal overpopulation controls for details. 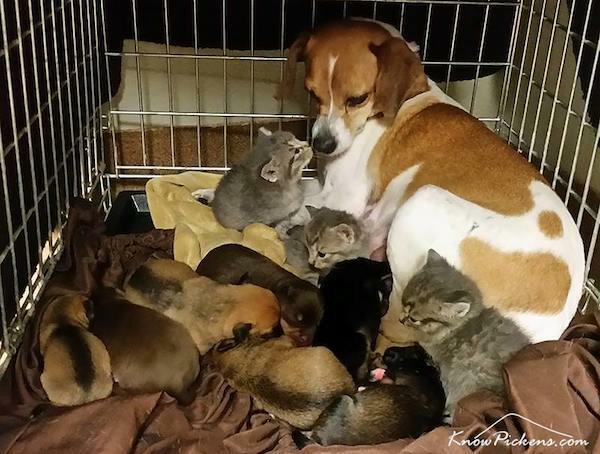 Each puppy and kitten bred and bought condemns innocent abandoned animals to death. Please do not be the one to issue their death warrants. Image: Singer Morrisey explains how constant new litters of pets kills chances of shelter pets being adopted, or avoiding being put to death, because of there not being enough homes. Animal rescues are often run by animal charities or non profit animal welfare organisations. Some are run privately. Some rescues have a ‘No Kill’ policy. This means they do not put any animal down unless it is suffering / on the advice of a vet. If you adopt rescue pets from these rescues, you make room for more lives to be saved. Many shelters – especially municipal ones that local authority ‘dog catchers’ use – put animals to death when they are not claimed, rescued or adopted within a short time limit. This can be a week in some areas, but as little as a number of hours in other areas. Many of the animals that go in to these ‘death row’ pounds are put to death. If you adopt rescue pets from these shelters, you probably save the life of the animal. You can also sponsor rescue pets that cannot be re-homed (see here for more details). By doing so, you free up the animal rescues funds to continue saving other animals from suffering and death. People sometimes wrongly believe the rescue pets must have inherent problems to end up in animal shelters. This is incorrect. The vast majority of the time, it is because of their owners problematic personal circumstances, and their willingness to give their pets up for their own convenience. Although there are legitimate reasons in the list, you may notice that much of the time, their excuses are situations that one would expect could happen in life, and that owners of pets should have contingency plans for. The fact that they don’t shows that many people do not understand that having a pet is a commitment for the natural life time of the pet, and they must have contingency plans for if their circumstances change. This can result in the pets they purport to love, suffering terribly emotionally. 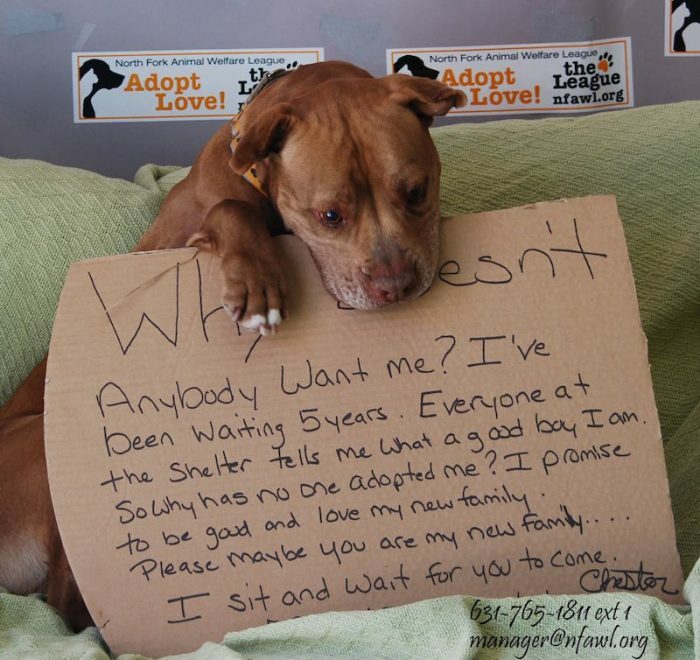 Who wouldn’t if they were abandoned by someone they loved and trusted? There are more ridiculous reasons than these common motives above for people giving up their pets. These include people who got rid of their dog because they had new flooring fitted and thought the dog may mess it up. Even more absurd are the people who deserted their dog at a shelter because they re-decorated and the dog no longer went with the decor! However, at least these people are honest about why they are abandoning their pet. When there is nothing wrong with the dog or cat and the owners simply cannot be bothered looking after it anymore, people feel they need to give a better reason justify why they get rid of their pet to a shelter. Therefore, they often lie about the pet, saying it bites or has other behavioural problems. Sadly, many dogs that owners say are aggressive are destroyed, as the shelters do not want to risk re-homing them if they may do harm. Some owners don’t bother to take their pet to a shelter at all. They just throw the vulnerable animal out on the street to starve and freeze to death. Some even kill the pets that trusted them, often in sickeningly inhumane ways. They are often vaccinated and neutered – that means fewer vets bills and a healthier pet. With adult animals, you know what personality you are getting because their personalities are already developed, unlike with a baby – they can end up with a personality different to what you hoped for, even if you try to mould them in to what you want. Generally, the older the pet is, the less wild and hyperactive it tends to be, especially if neutered – baby animals can be very hard work – especially puppies! If you adopt rescue pets, many rescues let you take pets on trial so you can tell if they are the right one for you before committing – you don’t get that when you buy pets! overpopulation worse like you would be if you bought pets while so many are put to death due to not finding homes. Children who are around pets such as cats and dogs in the first year of their lives are far less at risk of developing allergies to pets – save a rescue pets life & improve your child’s life at the same time. There are further health benefits to owning a dog: Owners generally get more exercise due to dog walking, and petting dogs is therapeutic. Doctors are known to recommend activity and interaction with dogs as a form of treatment. 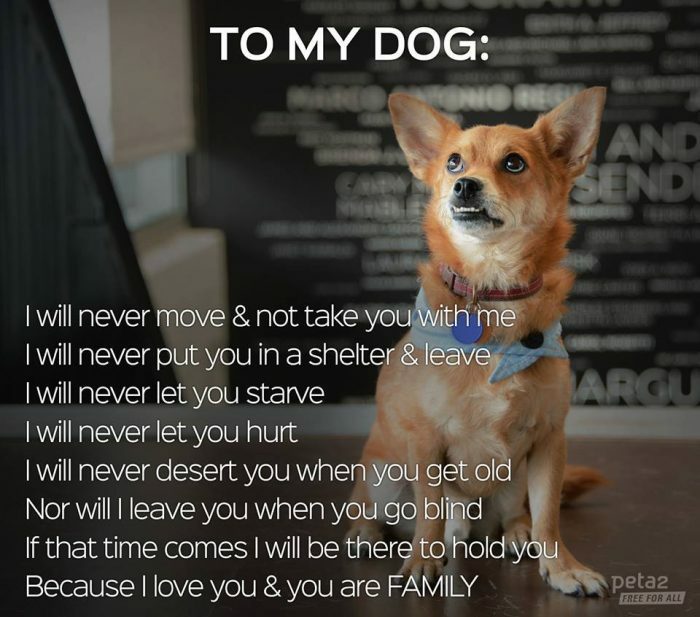 Therefore, by adopting a dog, you may not only be saving the dog’s life, but also your own! 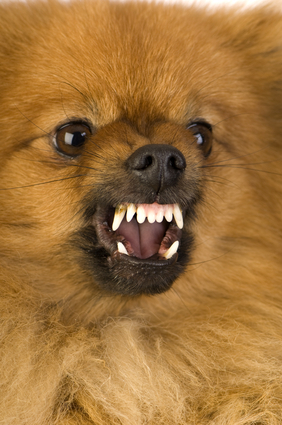 Burglars are deterred by adopted dogs just as much as any other dog. 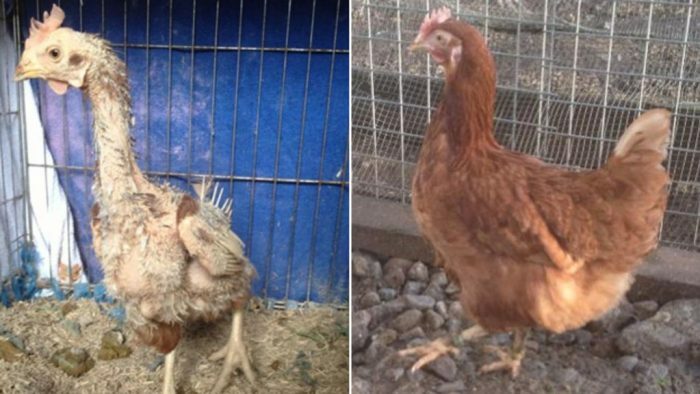 Image: Adopted ex-battery hen before and after photo. Such hens live their lives in small cages on farms. A lucky few get rescued and rescued by charities and adopted, but the majority are slaughtered when they are past their usefulness to the farm. More and more people are getting wise about the cruelty of puppy mills, and are avoiding them. As a result, fake animal rescues are being formed that are really just fronts for cruel puppy mills. They advertise their dogs on pet adoption sites, so they can sell the dogs to people who think they are adopting a pet in need. Some have their own animal rescue website where they put the puppy mill dogs up for “adoption”. Far from helping stop cruelty and suffering by helping an animal in need, this is funding the continuation of cruel puppy mills. 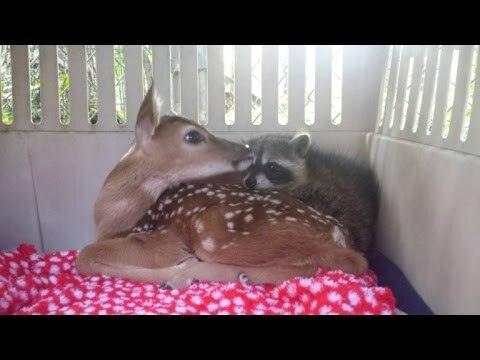 There are also “rescues” or “rescuers” that present themselves as an animal rescue, but whom really just use animals to supply them with an income. Sometimes “rescuers” can claim to need donations to save dogs and cats from the streets or local authority pounds and shelters. They appeal for money for their food and veterinary bills, but really the animals are receiving little or no care, and sometimes are being hoarded. These rescues are sometimes in a different country to where most of its supporters are from. For instance, people in the U.K. have been scammed by rescues elsewhere in Europe. 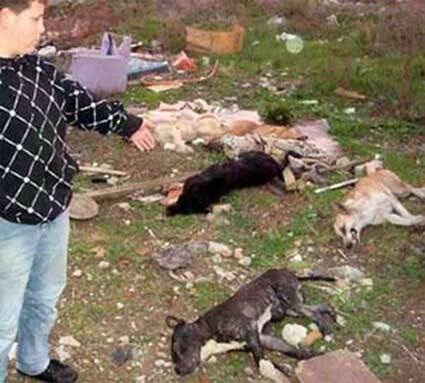 In one case, a sanctuary in Cyprus was accepting donations from kind supporters to sponsor animal residents for a whole year, but were putting the animals to death as soon as they had got that sponsorship for them. 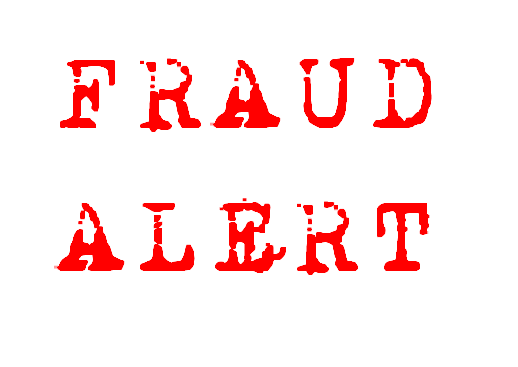 It can be extremely difficult to tell the genuine rescuers and rescue organisations from fraudulent ones. To find out the best way to tell the difference, do as much research into the rescue as possible and talk to other supporters to find out their experience of the rescue. Find out further tips here. Certain breeds, such as Staffordshire Bull Terriers in the UK, and Pit Bulls in the US, have become victims of being popular with irresponsible, high risk owners. The breeds are naturally the most loving, gentle, affectionate and tolerant dogs. They are also known to be very good with children. The fact that these dogs are also extremely loyal, keen to please their owners, and will even endure large amount of pain to please them, is exploited by these people. They will buy the dogs as puppies and often train them to be intimidating status symbols, weapons, and sadly, victims of dog fighting. The dogs become associated with the culture of anti-social behaviour in peoples’ minds, which makes people wary of them. This behaviour also leads to certain dog breeds becoming victims of BSL. Irresponsible owners commonly do not neuter their dogs, and breed them in a selfish and thoughtless attempt to make money. This means potential homes are taken away from abandoned animals in need of homes, so there are always a high number of innocent shelter dogs being put to death. The media feed fear by reporting scare stories about breeds such as Pit Bulls and Staffordshire Bull Terriers. It leads people to believe that the breeds are bad, rather than people being responsible for how they train their dog to behave. It is not the fault of the dogs that a certain section of society is attracted to abusing and exploiting them in these ways. 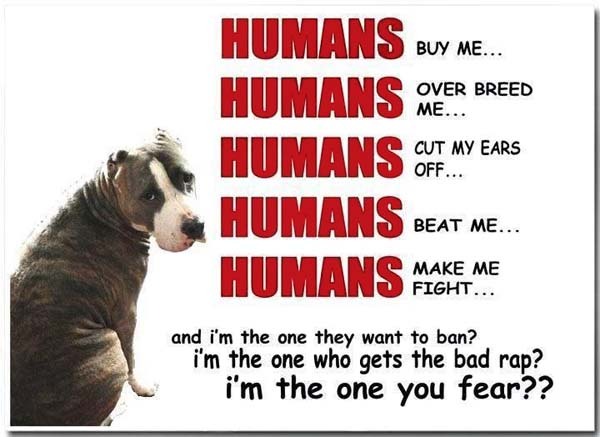 Sadly, this leads to certain breeds becoming victims of cruel and unfair BSL. It has been found that the media choose not to report in a balanced way. For instance, when dog breeds that are considered more “cute and cuddly” by the public, have behaved in an aggressive and violent way, they are not interested in reporting it, but when it involves a Staffordshire Bull Terrier or Pit Bull, they are. This sadly sets people against these breeds, and when people want to adopt rescue pets, they often avoid these breeds as a result. 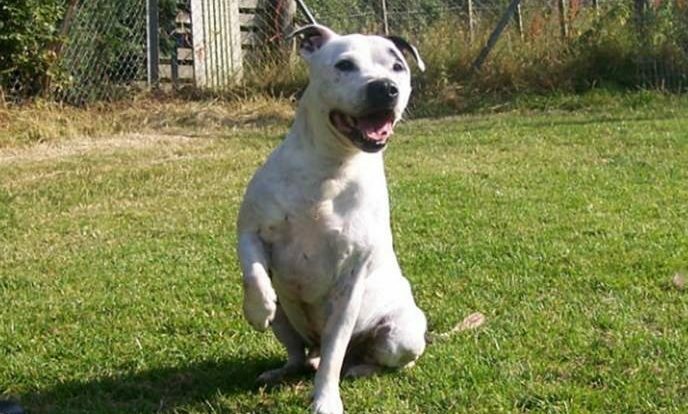 In the UK, shelters are inundated with Staffordshire Bull Terrier type dogs – the RSPCA state that around 80% of dogs in their care are Staffies or Staffie crosses. In the US, they experience the a similar problem with Pit Bull Terriers. By far, the vast majority of people who adopt pet Staffies or Pit Bulls, find them to be extremely affectionate, loving, tolerant breeds. To learn more about Stafford Bull Terriers, Pit Bull Terriers and other breeds less popular with adopters, see the So Called Dangerous Dogs And Overlooked Shelter Pets page. Because many Pit Bull puppies are originally bought by high risk, irresponsible owners, it is estimated that only 1 in 600 of these dogs finds a permanent, loving home. This means that the other 599 live all, or part, of their lives in rescue shelters, are put down, abused, or live on the streets where they eventually succumb to injury, disease, cruelty or starvation. If you would like to consider adopting rescue pets, please consider adopting one of these affectionate, loving, soft breeds. 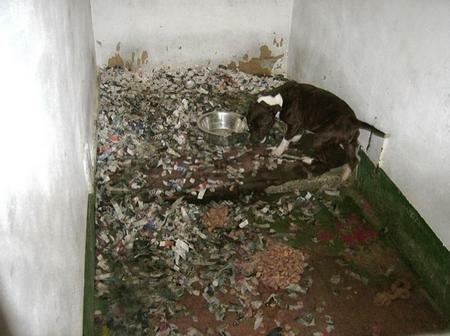 They are at shelters through no fault of their own, and are so often the breeds put to death first. Pit Bulls have been outlawed in the UK, tragically becoming victims of Breed specific legislation. 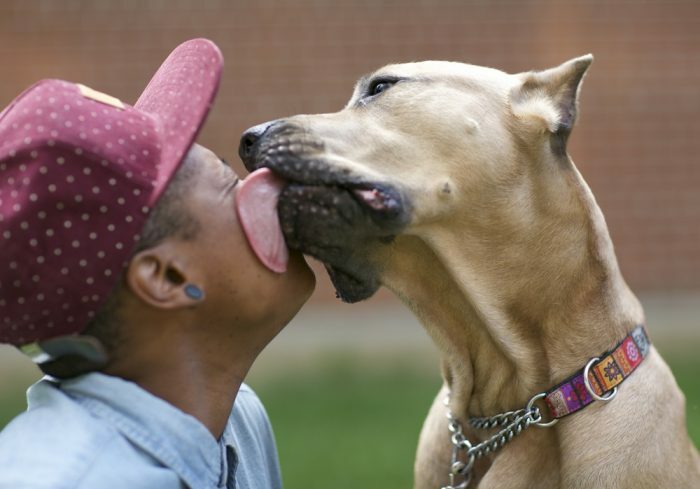 This was a result of certain elements of society training naturally gentle and affectionate pit bulls to behave aggressively, which led to a small number of attacks on people. Pitbulls and Staffies are also associated with dog fighting, which is incredibly cruel. "It has nothing to do with the size or breed. It has to do with who is behind the dog." Older cats are often overlooked, as people tend to prefer to adopt kittens. The same goes for older dogs and older rescue pets in general. 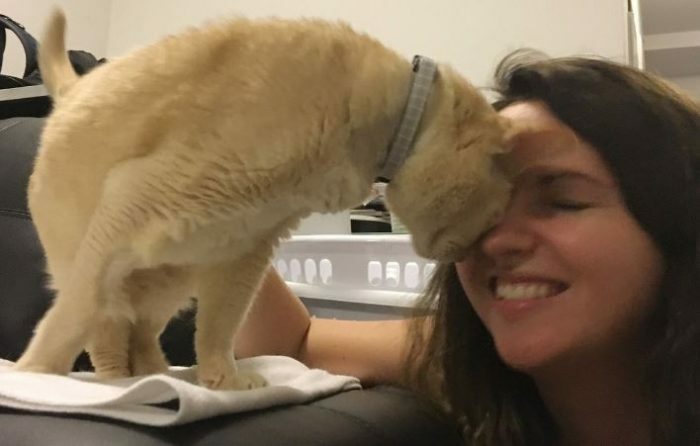 There are advantages to adopting rescue pets that are older. They are usually a lot calmer than younger pets, and a lot less work to look after. For instance, if you are an older person, you may be better suited to adopting an older, calmer dog. If you do adopt a rescue pet, please consider the wonderful overlooked animals. 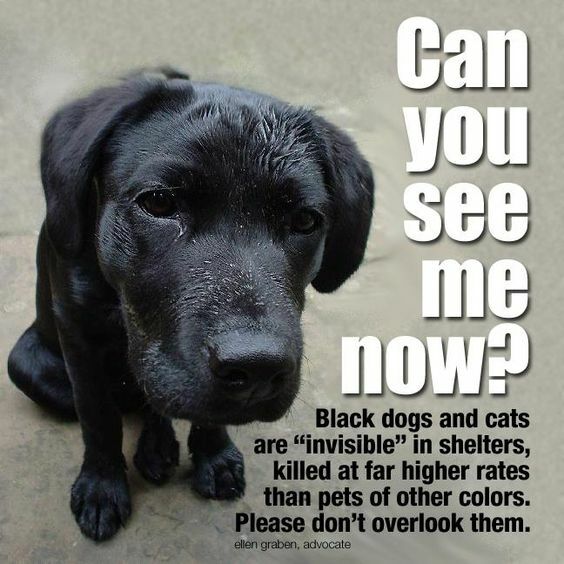 Dark coloured dogs, especially black dogs, tend to be left in shelters longer than light coloured dogs and more are put to death, especially if larger. There chances of being put to death first are further increased if they are old or have any special needs. In the UK, rescue pets at shelters or pounds that do destroy animals, who have run out of time (seven days) to be claimed by their owner or re-homed, are normally given a fatal injection of sodium pentobarbital by a vet. They are sometimes taken to the veterinary surgery for this, even if they are known to be terrified of the place. It would be kinder to have the vet come out to them, so they are not in a place that causes them to feel terror in their last moments, but they are taken to the vets surgery because it costs less that way. In the US, different states can use different cruel methods such as gas chambers the heart stick method. 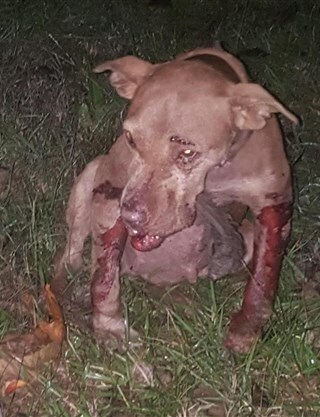 In Mexico electrocution can be used, and in some countries officials actively encourage citizens to beat homeless animals to death. More details about the way animals are euthanised and how their population is controlled in inhumane ways in different places can be found on the Cruel Animal Overpopulation Controls page. The worst thing you can do is BUY a puppy from a pet shop or onlIne, as you may be finding cruel puppy mills. Avoid any breeder who seems to breed for profit. It is hard to tell, as all breeders will claim they are doing it for the love of the breed rather than profit. Adopting a pet in need of a home is the best thing to do, but if you are going to go to a breeder, see this page to learn how to spot a good breeder. Buying a puppy makes the problem worse by encouraging people and cruel puppy Mills to breed more puppies for money. If they breed for profit, they do not breed for the welfare of the dog or breed. 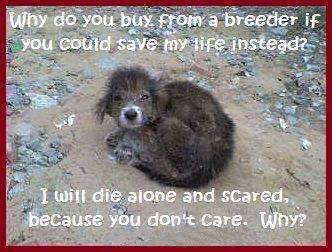 Millions of shelter dogs are put to death while millions of newly bred puppies are bought instead. Many of these puppies also end up as rescue pets in shelters. It is actually better to not have any dog at all than make matters worse by encouraging more breeding by buying a puppy. 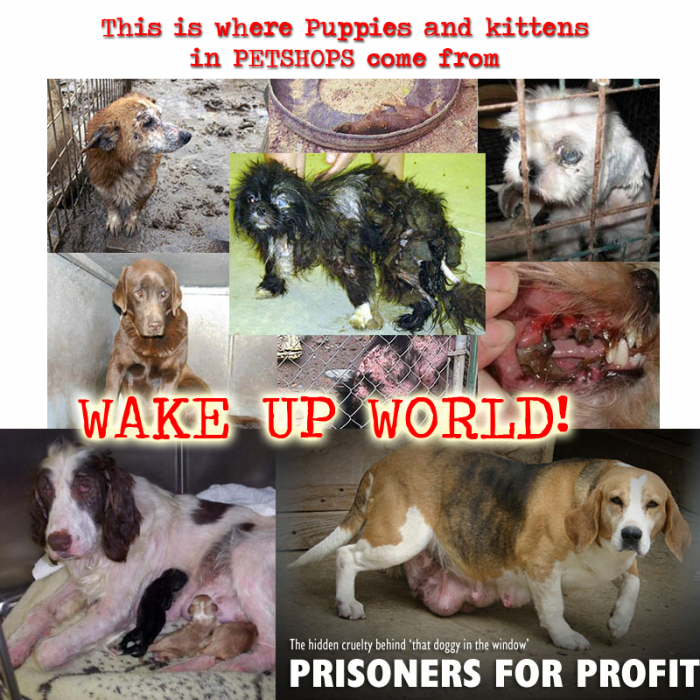 Pet shop puppies often come from cruel puppy farms. If fewer puppies are bought, then fewer will be bred to meet the demand. If they can’t sell them, they won’t breed them and there will be less unwanted dogs to put to death. Please adopt rescue pets instead of buying from pet shops, as pet shops are often supplied by puppy farms – although shops selling them will always deny this. Puppy farm dogs used for breeding for profit and never see a vet. They have rotten teeth, eye infections, mange, and are malnourished. They are simply used for as long as they can be profitable for. Once they have outlived their usefulness, they are inhumanely killed or left to die. If you love dogs, please do not contribute to this cruelty. Any money you pay for such puppies means you are paying for the continuation of the cruelty to the breeder dogs. Dogs from puppy mills often come with many health and behavioural problems in store. By purchasing a puppy mill puppy, people are supporting and funding a very cruel and abusive industry. Your pet shop may also claim the puppy is one breed, but it will turn out to be another, or a mixture, once it grows up (this can also happen with breeders). Businesses who sell puppies supplied by puppy mills are very unlikely to admit they are from a puppy farms, as this reveals them as not caring about animals welfare and only being in it for profit. True animal lovers know that buying a cute puppy is no substitute for having saved the life of an innocent rescue dog. Plus, they don’t stay cute puppies for long. 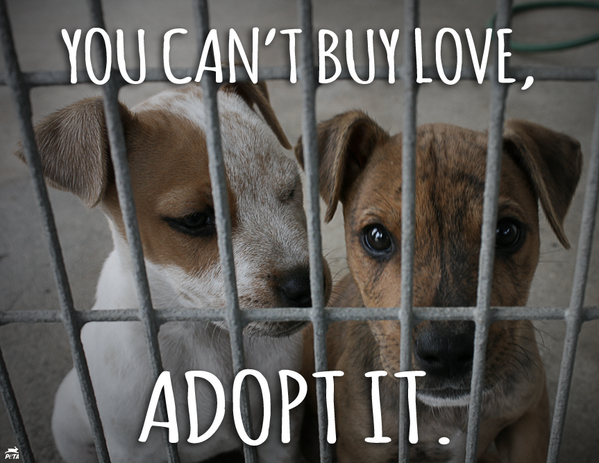 Please adopt a rescue pet and save the life of an innocent animal, instead of taking it’s chance of life away by buying. Many people say they did not adopt rescue pets because they wished to mould newly bred puppies or kittens in to what they wanted. Most people who have experienced raising puppies or kittens know that is not realistic. Rescues re-home many puppies, young dogs, kittens, young cats and other young animals. Some of these are purebred. This means that if someone is determined to have a baby / young pet, they can still have this AND save a life by adopting a rescue pet. This is so much better than buying, which takes the chance of a home away from an innocent shelter animal and signs it’s death warrant, as well as also encouraging greedy breeding for money, which will cause many more innocent animals to be put to death. To find puppies, dogs, kittens and cats that need adopted in the UK and US in your area, have a look at the Find Adopt A Pet Here page. Shelters find themselves with a huge number of dogs only a few months old, after people have bought them, then found that they are unruly and take too much hard work and time to train. Many of these puppies are included in the millions put to death every year because too many people continue the cycle by buying puppies instead of adopting rescue pets. Millions of perfectly adoptable kittens and cats are also put to death each year across the US and UK alone. Image: Puppies and kittens are commonly found at shelters. Some people are concerned at not knowing the background of rescue pets, especially shelter dogs, and worry that how the dog was brought up may affect it’s behaviour. Firstly, not all dogs arrive at shelters as strays. In some instances, owners give dogs up due to changes and problems in their personal circumstances. 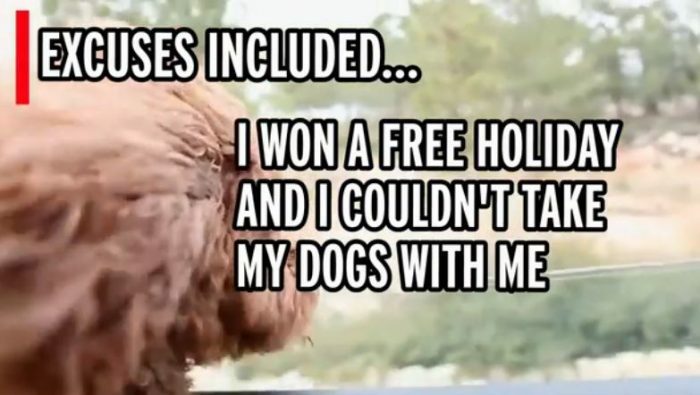 The dogs background can sometimes be known as a result. Secondly, most re-homing centres assess each dog thoroughly before considering re-homing it. Shelters can also match dogs to prospective owner’s requirements. In addition, people say that they wanted a specific breed and that shelters ‘wouldn’t have that breed’. In fact, around one quarter to one third of all shelter dogs are purebred. If you can’t find the rescue pet you want in your nearest shelter, go to the Adopt (Or Foster) A Pet Here page to find the pet that is perfect for you. People often travel miles to find a breeder, so it makes sense to be willing to travel to save an innocent life of a specific breed. If you would like to know about the questions you may be asked before being able to adopt rescue pets, and about any costs involved as well as home checks, please go to the Adopting A Dog, Cat Or Other Animal page. For links to animal shelter websites showing animals available for adoption, go to the Adopt A Pet Here page. If you cannot adopt, you may be interested in fostering or sponsoring animals instead. Temporarily fostering animals in need – until they go to permanent homes or back to the wild – saves innocent lives. Millions of unwanted pets are put to death every year due to there not being enough rescue places. You can help reduce that number of senseless deaths by fostering. For more details about fostering and sponsoring animals, see the Animal Fostering And Sponsoring page. UK quarantine laws have finally come in to line with the EU Pet Movement Scheme, which has been running successfully for nearly a decade. It means that it takes just 21 days for your pet to move from one EU country to another and be reunited with you. This also applies to a list of non EU countries such as Australia and the US. Non EU countries not included on this list require a three month wait, which has also has time taken off it. These reductions in quarantine times are more humane and they also make adopting from abroad easier. 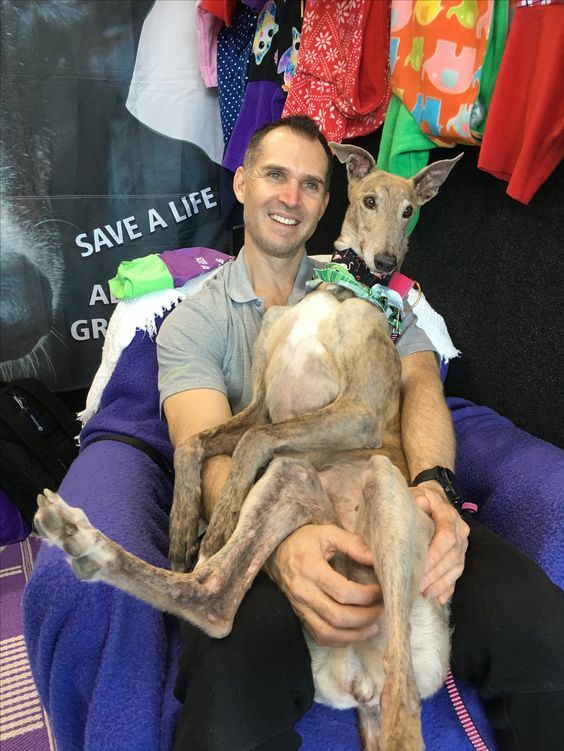 If you feel you may like to foster sponsor or adopt an animal, you can find animals currently available through rescues on the Find A Pet To Adopt, Foster Or Sponsor page. You can also help by raising awareness of animal adoption, and of the issue of pet abandonment and bad breeders, by sharing the information from this site on social media. 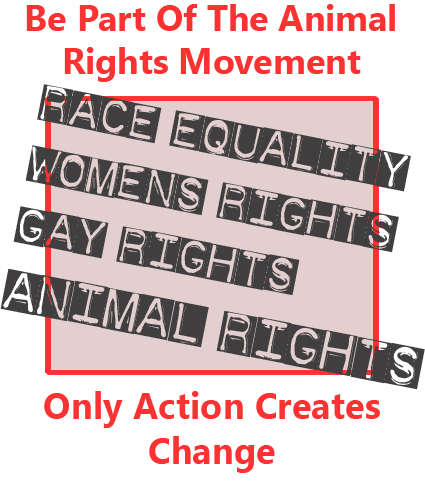 Making sure people become aware of these issues will be instrumental in helping to stop animal suffering. This website lets you know of many other ways to help stop animal cruelty, and there are ways that will suit everyone, no matter what their personality. Share these ways with other people, on social media for example, to get more people helping. Another way of raising awareness of animal cruelty issues is with what you display and what you wear.